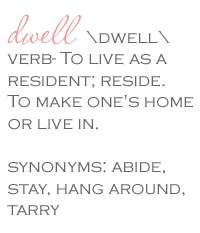 Dwell by Cheryl: "Garden Ridge Branches Out"
If you recall, I'm obsessed with Garden Ridge's throw pillow selection. When I don't have them custom made, Garden Ridge is my first top for a great selection of pillows at hard to beat prices. This multi-colored chevron was hott! These were embroidered and looked way more expensive than they really were. Garden Ridge also has a large selection of rugs including small accent rugs. I thought this Moroccan trellis was too cute, and at $4.99 you could afford a back up. 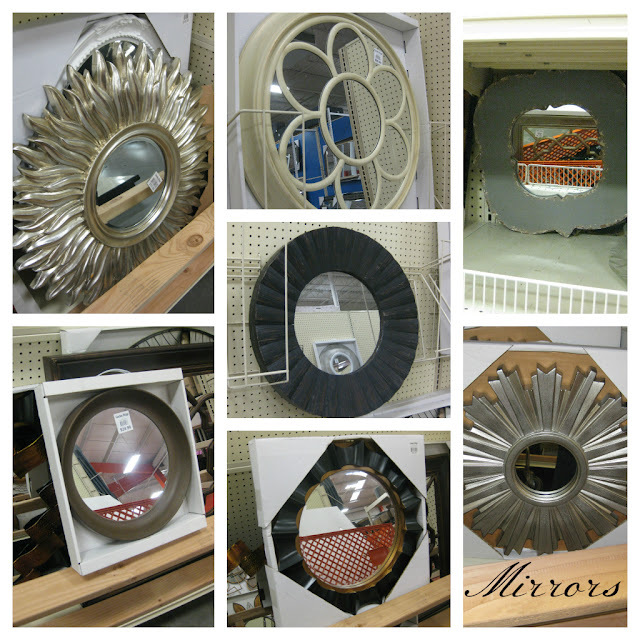 I actually went looking for a large mirror and the selection was unreal. They've definitely amped up the offerings. I love the sunburst in the top left corner. So very me. Unfortunately, I think it's a little too literal for my current project. 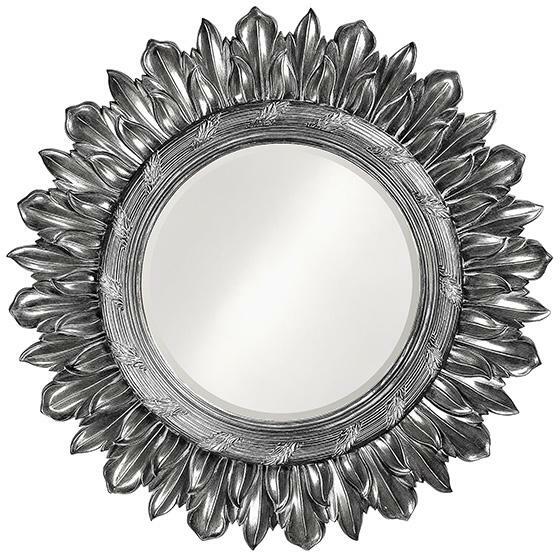 These mirrors were priced from $19.99-$79.99 depending on size. That's much cheaper than they're sold for elsewhere. For example, this option is available online for so much more at $459. I'm not really sure why you would need (or want) to spend so much more for an item that literally hangs on the wall. This is definitely a time to "save" instead of "splurge". It's just not worth it. I also loved these Tiffany (Chiavari) chairs. They scream dinner party. Super chic! I also noticed that Garden Ridge seems to have branched out in terms of the styles available. This same lacquer side table was on One Kings Lane this week for double the price. I was actually really impressed with the options. 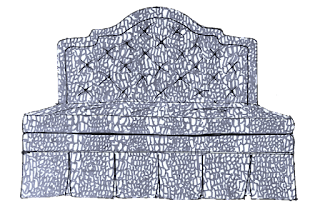 Of course, it's Garden Ridge furniture so these are not the most "solid" pieces, but if you need a small accent piece, I'd say, "Why not?" And, it wouldn't be a Dwell by Cheryl blog post if I didn't mention my favorite place. Prior to stopping at Garden Ridge, I went by a Goodwill that I had been dying to go to. 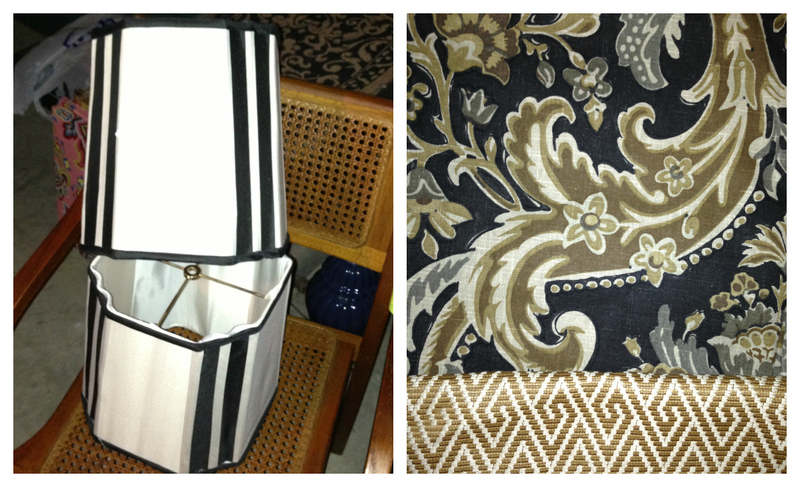 I picked up these lamp shades for $2.99. I thought they were pretty handsome and would make a great complement to some accent fabrics that I purchased this weekend. Lo and behold, what do I spot on the lamp shade aisle at Garden Ridge? Have I mentioned that I love Goodwill? Happy Friday! Ok, now I feel like you have teased me. I need a Garden Ridge in MS! Felice I knew someone would say that. You'll have to keep an eye out for it when you travel. There are places without Garden Ridges?! I'm so sorry... Does Old Time Pottery compare? April, good question. I'd say Old Time Pottery is a close second. Oh my! I need a very large mirror and am looking for a deal! I didn't even think of Garden Ridge! Jennifer, Garden Ridge is great for mirrors. And Ballantyne.